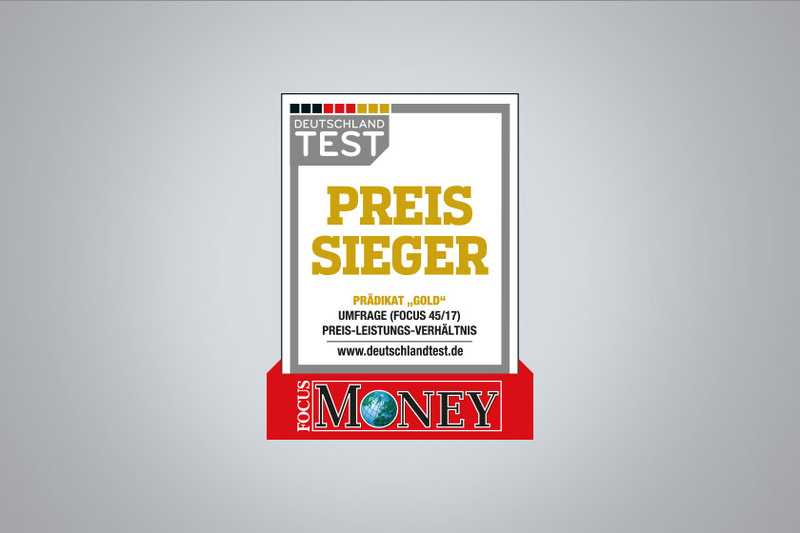 Bindlach, 06th November 2017 – According to Focus Money the textile company NKD from Bindlach was awarded in the framework of the study “Preis-Sieger 2017” with class “Gold”. With 100 out of 100 points, NKD achieved the top ranking in the “Preis-Sieger 2017” study. NKD offers the best value for money in the category of textile chains and fashion houses. This study was conducted in collaboration with Deutschland Test and Focus Money. More than 6 million online responses to more than 1,500 brands have been analyzed. To identify the Germany Company with the best price-performance ratio, over a period from August 2016 to July 2017, 110 industries and product categories were evaluated. Statements were made on the categories “price” and “quality”. While the “price” category examined all content related to the cost of a product, the “quality” category evaluated all statements regarding the promised performance of the goods sold.